Rider was much loved in his previous home and was walked several kilometers twice daily. His mom was retired, and he was the apple of her eye. He loves car rides, walks, and activity, but most of all he adores people. He is a perfect example of the Greyhound lean. He is a very sweet boy and a true gentleman. He would do best in a home without small children, as he prefers a quieter space. This sweet boy is guaranteed to steal your heart. 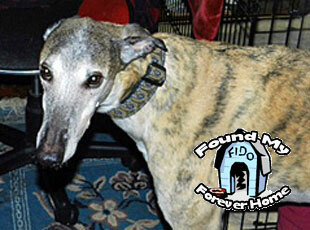 Ryder came back to us due to his owner’s illness and hospitalization.